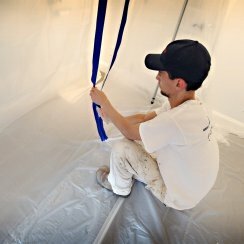 Face it, we’ve all seen the dust created during a construction and paint job…why not make things easier? Trimaco’s E-Z Up Poles will keep debris and dust contained to the work area, reducing clean up, and keeping the customer happy. 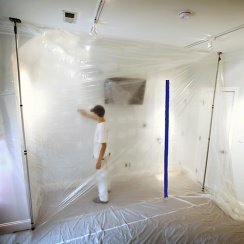 Trimaco’s Heavy Duty E-Z Up® Dust Containment Pole works with plastic sheeting to create a dust barrier on the jobsite. What makes our pole different? No loose parts that break or go missing, extra durability and easy set up. The heavy-duty aluminum construction is available in three heights – 12ft, 16ft and 20ft. 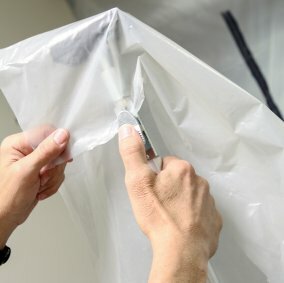 Simply clip plastic onto the quick clip and adjust the pole to ceiling height. The unique foot pedal ensures a snug fit. 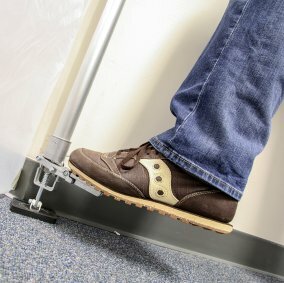 You can even use our E-Z Up Zipper to create an instant doorway in and out of the work space. 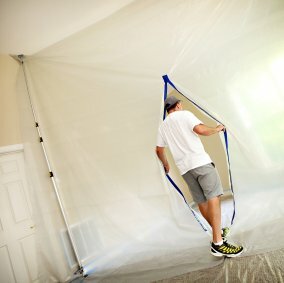 Learn more about all of Trimaco’s E-Z Up poles and dust containment accessories!